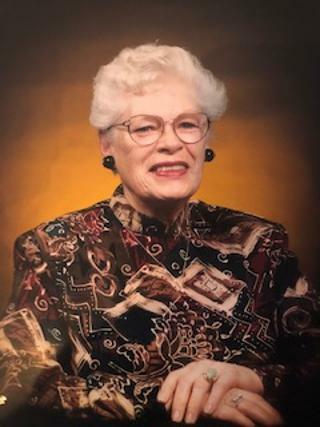 Barbara J. Carr passed away peacefully on January 21, 2019 surrounded by her loving family after a very full 87-year life. “Auntie Barbara” was predeceased by her beloved sister Gail Quigley, and she leaves many great memories and shared joy with her four adored nieces and nephews and their spouses and partners, 10 great nieces and nephews, as well as a great, great niece and nephew. Barbara was raised in Webster, MA., and moved to Boston soon after attending St Vincent’s School of Nursing. She was a “true” (transplanted) Bostonian based on her love of it’s history and her lifelong passion for learning. She crafted a long and successful career, the highlight of which was her 35 years practicing nursing at her beloved Massachusetts General Hospital. She proudly served for many years as a nursing supervisor in Surgical Services where she held others to the same high standards of competence to which she held herself. Barbara’s personality was unique in that one always knew her position on an issue, as she communicated it clearly with both her words and her body language! It is a truism of Barbara that once she created a friendship, it was always deep and sustained. Barbara was a master crossword puzzler and chided anyone who used a pencil to complete them! She was also an expert in Depression-era antique glassware and an avid reader and she shared that passion with her family and friends. She especially experienced great joy in her Bible study groups, and loved sharing her understanding of scripture with others. She loved animals and pampered many dogs and cats who found a wonderful home with her. She cherished life long friendships in Selma, Beth, Marie, Virginia, and Astra, which helped make her life full and impactful. Finally, Barbara had a deep and unwavering faith in God and Jesus Christ, which was her foundation as she steadfastly maintained her independence in the face of mounting medical challenges over the last five years. Family and friends are invited to Folsom Funeral Home, 87 Milton St., Dedham, on Sat. Feb. 9th from 11:30am-12:30PM immediately followed by a memorial service to celebrate her life at the Fellowship Bible Church, 47 Milton St., Dedham, MA 02026 at 1PM. In lieu of flowers please consider donations in her name to one of the following: Fellowship Bible Church, 55 Myrtle St, Dedham MA, 02026 or Massachusetts General Hospital, Dept. of Nursing, 55 Fruit St, Boston MA, 02114. Barbara was an amazing mentor to me & so many others. You’re truly unforgettable. Rest In Peace Boss! !